Pakistan (MNN) ― While floodwaters may be covering a large portion of Pakistan, the response of ministries reveals the truth in the hearts of Christ’s followers. Voice of the Martyrs USA has redirected all of their in-country efforts to distribute Action Packs: vacuumed-sealed containers holding much-needed items such as food, clothes and Bibles to encourage and strengthen affected Christians. However, they are not limiting their relief efforts to Christians. Muslims are more than willing to accept the packages, even when they discover the packs contain Bibles. The actions of Christians after the rains–and as they continue to pummel the country–are shining through this record-breaking tragedy. One Muslim said, “You Christians are better than Muslims. You came all the way from Faisalabad to help us.” Many are not only willing to accept the Bibles, but they have told VOM teams they will read them. As VOM rejoices over this positive turn of events, pray for the teams as they continue to distribute Action Packs. Also pray for even more victims to be open to the truth of Christ’s message. In one community, several Muslims asked for Action Packs. The team told them the backpacks contained Bibles, but the Muslims still wanted them. They weren’t offering them to Muslim survivors unless they asked? Or do they think that the Muslims wanted the Bibles? D’uh. Guess what? They were hungry. 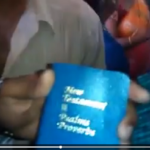 The Bibles aren’t a hot item in Pakistan. The people didn’t have a change of clothes, and there were action packs being distributed to Christians. They asked for survival necessities. They would suffer the book to feed their stomachs. This is what missionaries are reducing the Bible to – something to be accepted in order to get Christian aid. If they could come from half way across the world to give them food, they weren’t exactly incapable of quietly and gracefully taking out the Bible from those “packs for Christians” to make them suitable for any religion if this were really about service as opposed to a recruitment drive among vulnerable people. How would these missionaries feel if they were stranded without food or water and in grave danger and swallowed their pride to ask for desperately needed help from Muslims? What if they were told that they would get it, but it came with a Quran? Would they refuse to accept food? Or would they tell the people helping them that what they could do with their Quran? No. They would quietly take the food knowing that they had no choice. These peddlers are in essence telling a people surviving for weeks without hope “We aren’t really here to help you. But since you ask, we will, but you also have to take a Bible.” For people who deal with faith, its incredible that they don’t ‘get it’ that in desperate times, all a religious person has is his faith to carry him through. And this is an intensely religious part of the world. A proud people have to let humble their beliefs to accept the aid. No wonder there are some who would rather wait for the banned organizations. Not that refusing aid to non-Muslims in a time like this is any better. The survivors have to accept crucial necessities at the cost of dignity – whether it is scrabbling in the mud for packs thrown from a truck or helicopter, or it is thanking someone politely and saying please give us that bag with food, even if it has a Bible in it. Someone needs to look into this. The Pakistanis don’t need to go through the humiliation of being forced to accept a Bible if they want to eat. If I as someone who doesn’t consider violence a useful option feel so outraged on behalf of a people I have little in common with, I imagine that the Taliban accustomed to violence, rabidly Muslim and enjoying great freedom in current circumstances is actually acting under unusual restraint to have killed only three people and have donated two million on top of that. I see it as a testimony to how shaken they themselves are with the state of their land. Sure, they are wrong in killing those people, but if we understand the fierce religious pride of this land, we can understand that it seems like an unforgivable insult for a Muslim to have to accept the religious book of another religion to get access to life-essential assistance. And no, I am not a Muslim. 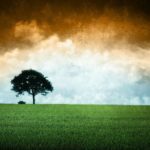 I am Indian, atheist, Hindu by birth and have a healthy contempt for what I call the perpetual victim mentality of Muslims that keeps them blaming the world and violently retaliating against assumptions of evil and further demolishing their own moral fabric, reputation and well being. But this is not about how I see a religion. It is about how people see their own beliefs. Its not impossible to separate religious strings from humanitarian relief. It is happening. Much as I detest the Hindu religious structure (though I live in it), what I really appreciate about Hindu aid in Pakistan is its absence. 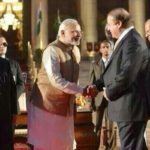 ‘Hindus’ have donated and assisted without religious tags knowing that the average Pakistani would see accepting Hindu aid (particularly) as a monument to their utter defeat in saving themselves. India as a country (as different from Hindus) accepts that it must donate through the UN to protect the dignity of a proud people who are left with precious little else. I admire the stand the Pakistani government took in asking India to do this, even though it could be interpreted as a snub, even though they needed the money desperately (not that India offered a fortune in the greater scheme of things). It is one of the few moments the government showed sensitivity to the tattered dignity of their people and protected it. US is pouring in tremendous amounts of money, resources and people, as are many other countries. The UN probably has Jews in it too right along with all kinds of religions, and they are making a monumental change without emphasizing differences core to the dignity of the survivors. I think its high time the religious aid focused on the tragedy at hand and stopped playing chess with real live people. I also invite the world to see this as an opportunity to engage ideological differences and create bridges of spiritual generosity. Perhaps the rebirth of Pakistan can include greater peace for all.